Hoo-rag, inspired by the Wynwood Art District in South Florida, designed a plaid watercolor headband. This headband is full of bright colors and symmetrical lines. 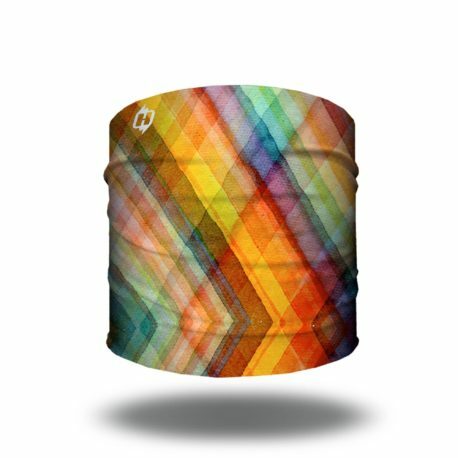 We hope this bandana is one you’ll want to add to your own collection. 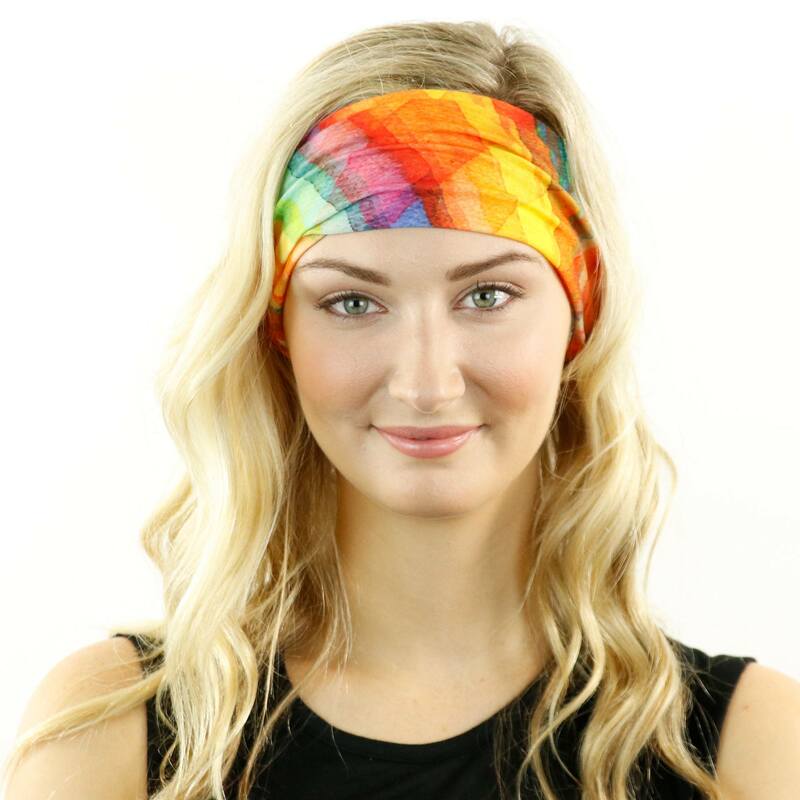 It stays on a little better when it is doubled but it is fairly loose when trying to wear it as a single wide headband. It just does not stay in place. The edges also roll which is annoying. I will modify it to my liking to make it work for me. Overall I think it is too high priced for what you get. I’ve been fond of headbands from one of your competitors for a long time and only just got turned on to Hoo-rags. I love the slightly larger diameter tube which is more comfortable on my head. The fabric is soft and springy and the colors are as vibrant in person as they appear online. The price is amazing. I won’t be going back to the other brand. 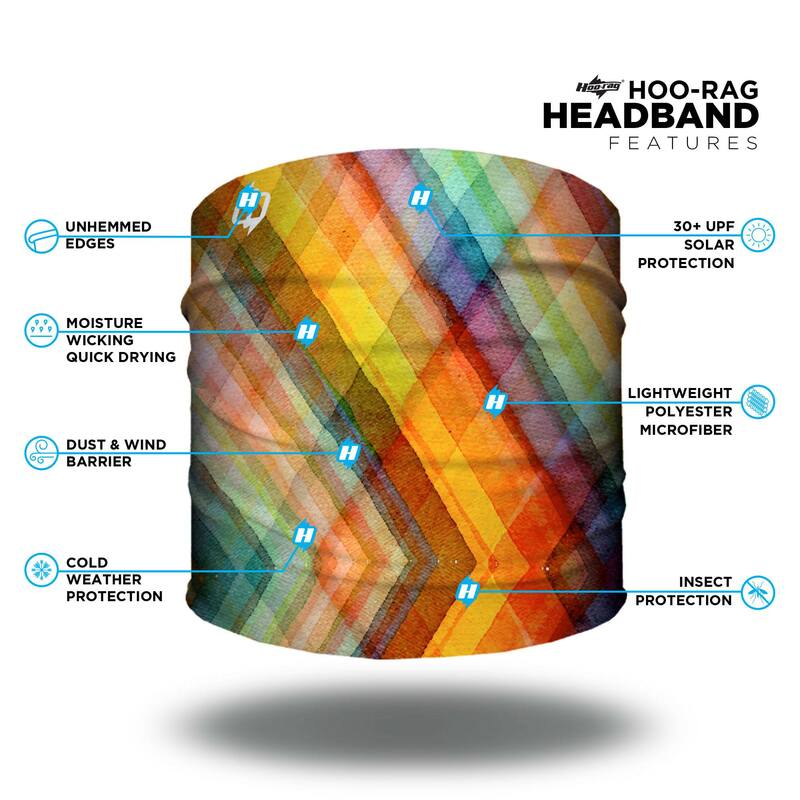 Hoo-rag is my new go-to for headbands and multi-functional bandana tubes. These work for everything. Love them. Love it! 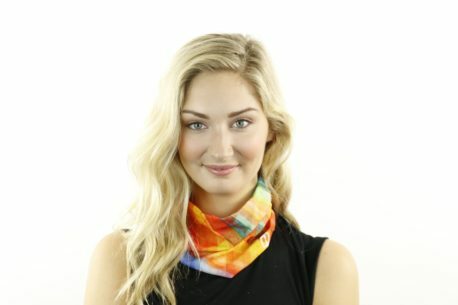 It fits great and the colors are very vibrant. Beautiful, love it, works like a dream….thanks for the speedy turnaround time. This design is amazing, people are always caught by the colors and then marveling at how soft it is. Comfy and the perfect amount of snug.